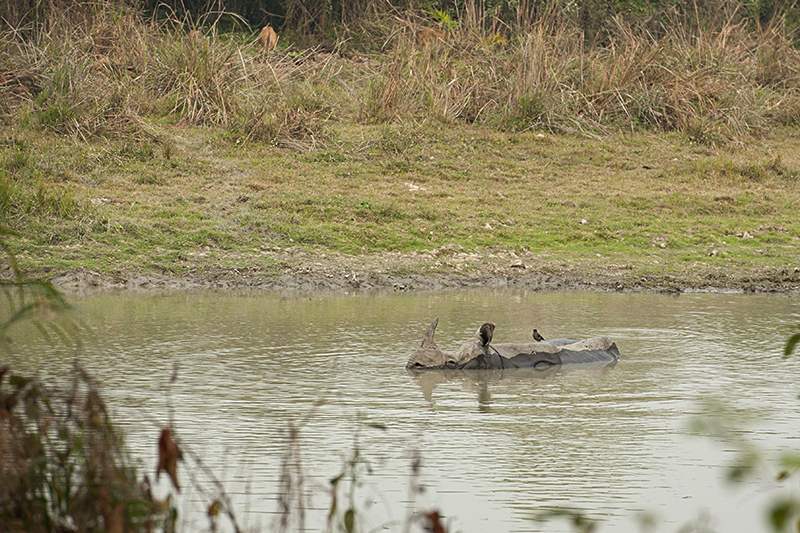 Our search for a Royal Bengal Tiger took us many safaris into the Eastern range of Kaziranga National Park. On this safari as we entered the park, we saw a herd of wild Water Buffaloes wallowing at a waterhole. 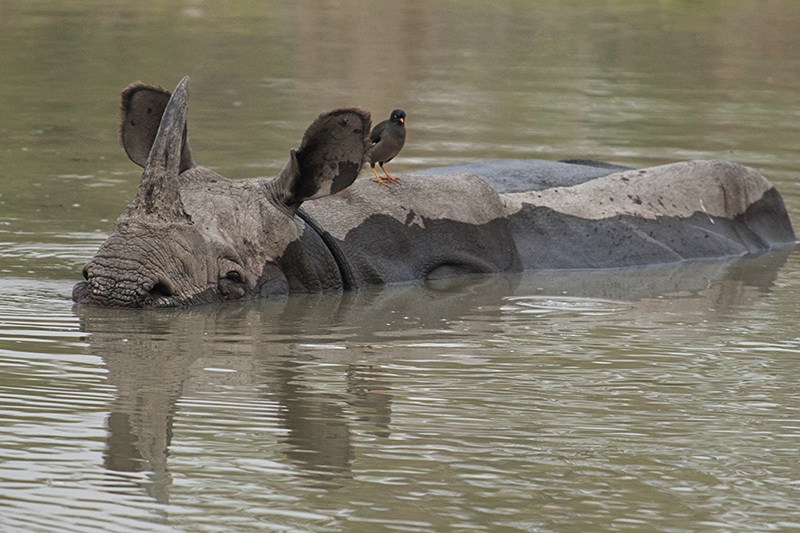 As we moved deeper into the park, we spotted an Indian Rhinoceros cooling itself in another waterhole. The sound of the Jeep made the Rhinoceros turn and look at us and that’s when we noticed its magnificent horn. 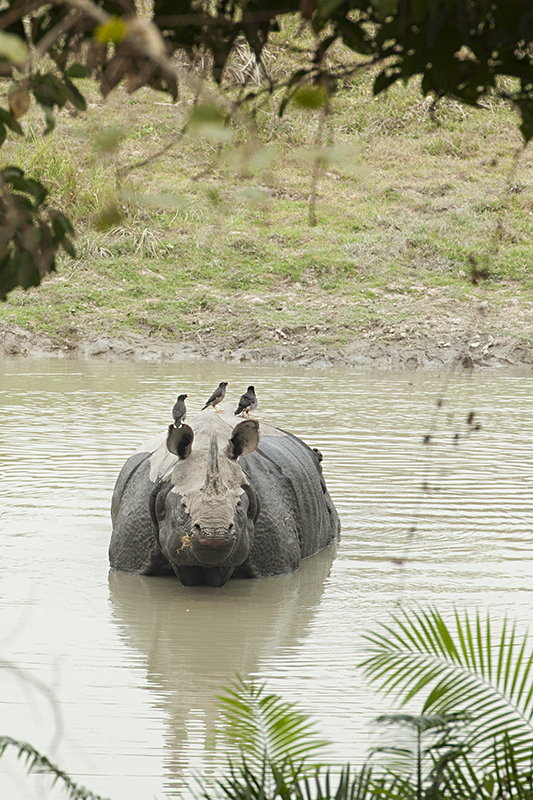 This Rhinoceros had one of the fiercest horns that we had seen in Kaziranga. We quickly switched off the engines and that eased the tension. 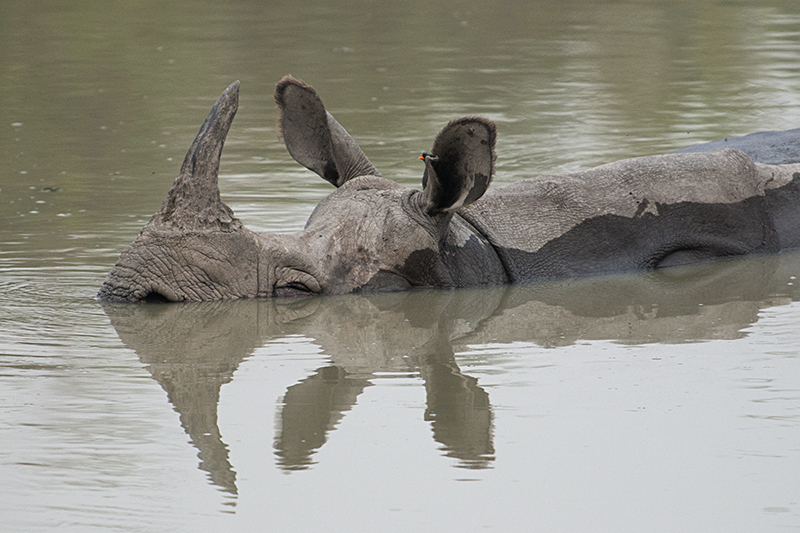 The Rhinoceros settled down to enjoy its refreshing cool dip. During the time we spent observing this magnificent animal, we got a few frame filling compositions of its majestic horn.